Christian Merli has won the European Hill Climb Championship 2018, racing his Osella FA 30 Zytek LRM at the 24th GHD Ilirska Bistrica in Slovenia, the penultimate round of the season. Three practice heats and two race heats were scheduled on the 5.010 km track. 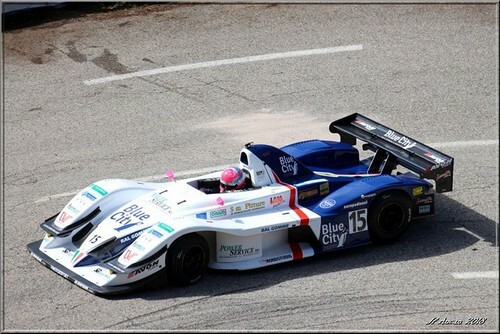 The Team Blue City Motorsport leader finishes second overall and grabs the European season title. It is an extraordinary moment for the driver from Trentino. He has been pursuing this goal for a number of years, and now the victory is his. The first official practice session in Slovenia takes place in the rain, with Peter Ambruz in the Mitsubishi Lancer posting the best time. The sports car drivers decide not to take the start. The results of the second session reflect the slippery track. Faggioli finishes first, followed by Karl Schagerl with the Golf TSFI R, 2”392 behind, and a cautious Merli, 3”681 behind. Faggioli in the Norma M20 FC takes the lead after the first race heat, with Christian Merli 2”116 behind. In the early afternoon Faggioli wins also the second race heat, with Merli only 0”445 behind. 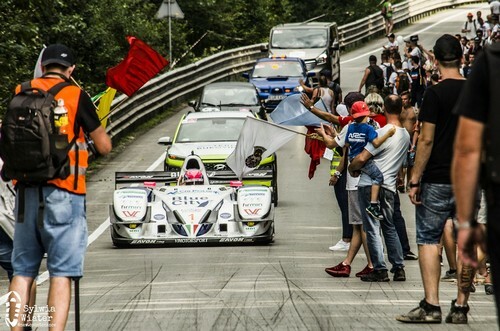 The driver from Trentino racing for Scuderia Vimotorsport has won his Group E2-SS and is European champion. 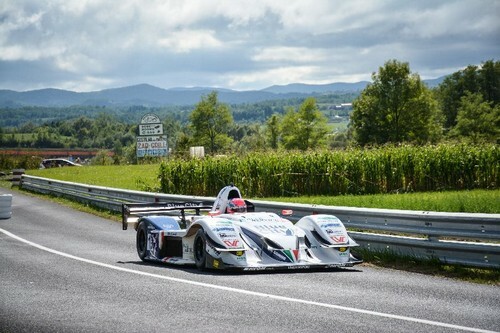 To date, Christian Merli, racing with the Osella FA 30 Zytek LRM with Avon tyres, has dominated six of the eleven races of the European championship, securing victory in Austria, the Czech Republic, Germany, Italy, Slovakia and Poland. He has won Group E2-SS ten times and has set no less than eight new track records. 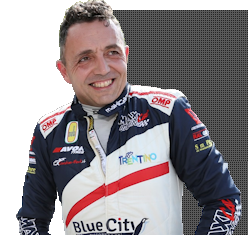 In addition, he has grabbed a number of victories in the Italian championship races which the European calendar has allowed him to take part in: at Verzegnis in March, at Ascoli in June, at the Trento – Bondone in July as the first Trentino driver after Antonio Zadra 48 years earlier, and at Sarnano in August. 15 April: Col Saint Pierre (France) – winner Sébastien Petit (Norma M20 FC), 22 April: Rechbergrennen (Austria) – winner Christian Merli (Osella FA 30), 13 May: 39th Rampa Internacional da Falperra (Portugal) – winner Simone Faggioli (Norma M20 FC), 20 May: 47ª Subida al Fito (Spain) – winner Simone Faggioli, 3 June: Ecce Homo (Czech Republic) – winner Christian Merli, 10 June: Glasbachrennen 2018 (Germany) – winner Christian Merli, 24 June: Coppa Paolino Teodori (Italy) – winner Christian Merli, 22 July: 35th Dobšinský kopec (Slovakia) – winner Christian Merli, 29 July: Limanowa (Poland) – winner Christian Merli, 19 August: Course de Côte de Saint Ursanne (Switzerland) – winner Simone Faggioli, 2 September: Bistrica (Slovenia) – winner Simone Faggioli, 16 September: Buzetski Dani (Croatia). © www.sportrentino.it - tools for sports sites - page created 0,023 sec.